Read our helpful guide to second hand Peugeot 106. AA Cars works closely with thousands of UK used car dealers to bring you one of the largest selections of Peugeot 106 cars on the market. You can also browse Peugeot dealers to find a second hand car close to you today. All used Peugeot 106 on the AA Cars website come with free 12 months breakdown cover. 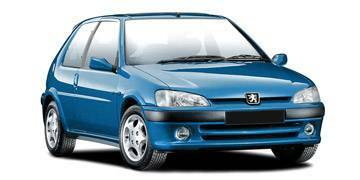 One of the most popular compact city cars of all time, the Peugeot 106 was first launched in the early 90s, and was developed along with fellow Frenchmen Citroen. A small, efficient engine (either the popular 1.1, or the slightly bigger 1.4 litre), keeps it nippy and competent around the city, and also makes it an affordable and, so popular, choice among first time drivers. There's not much to attract drivers to the 106 if they're looking to spend lots of time on the motorway - refinement is certainly not a strong point - but there is plenty to like in its small, personality-laden frame, fun drive, and affordable price.